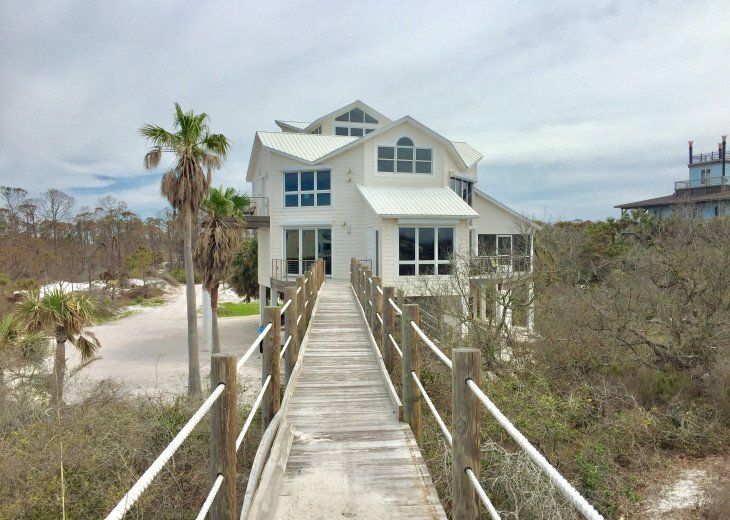 Enjoy 180 degree Panoramic Gulf Front Views in a home designed to maximize views of the Gulf of Mexico and beautiful Sunsets from both inside the home and outside on it's decks - Very Private & Quiet location - Soft, Sugar White Sand Beaches & Dolphins playing in the surf - Belle Vista offers all that and more. 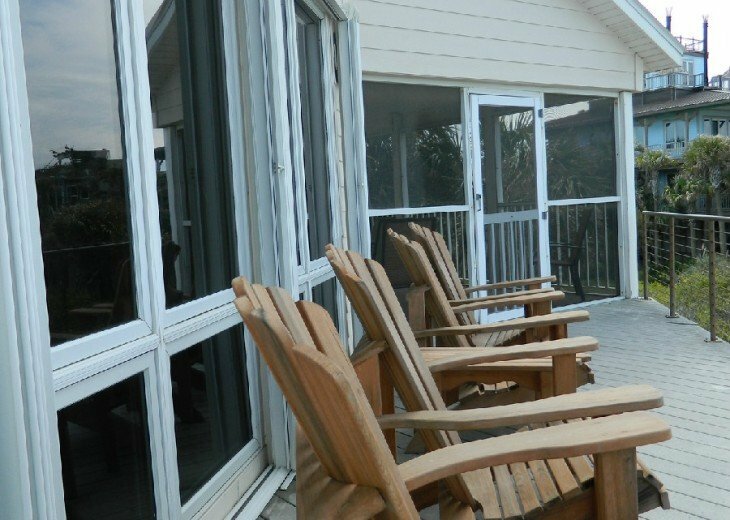 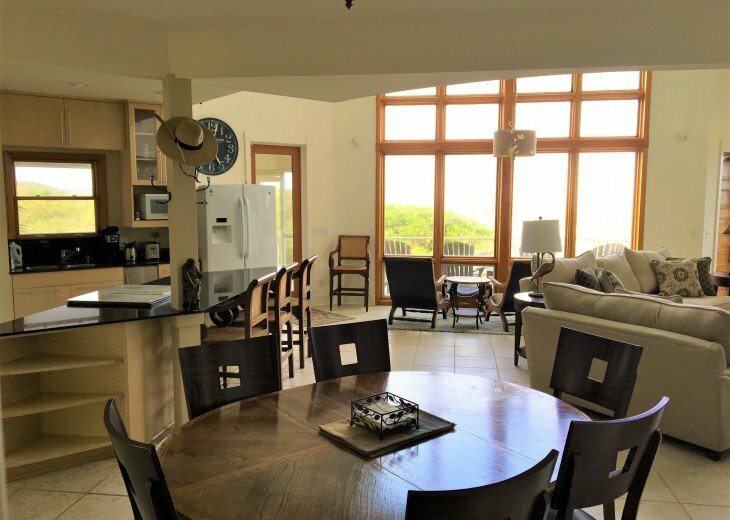 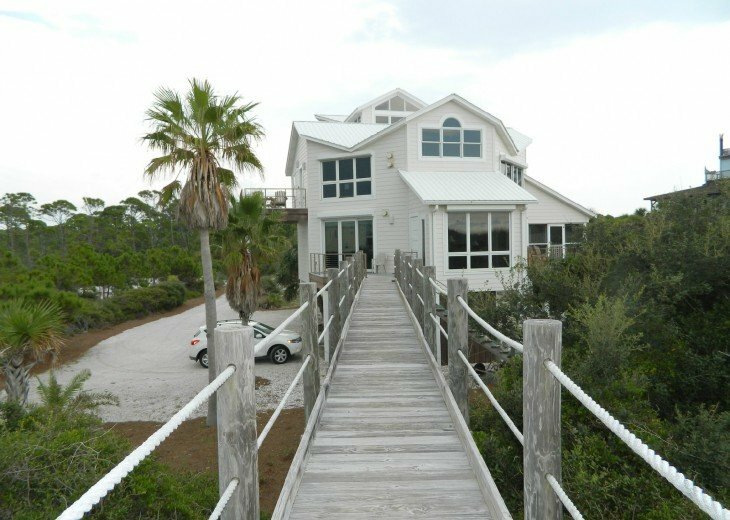 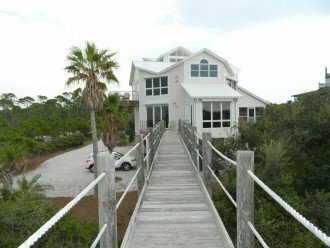 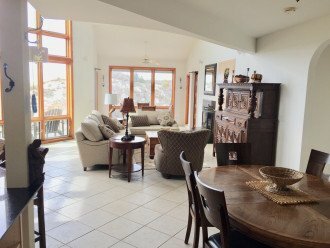 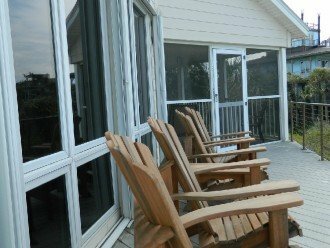 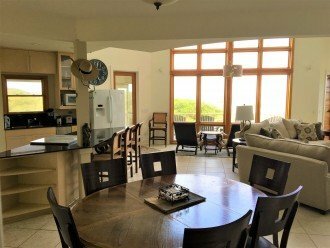 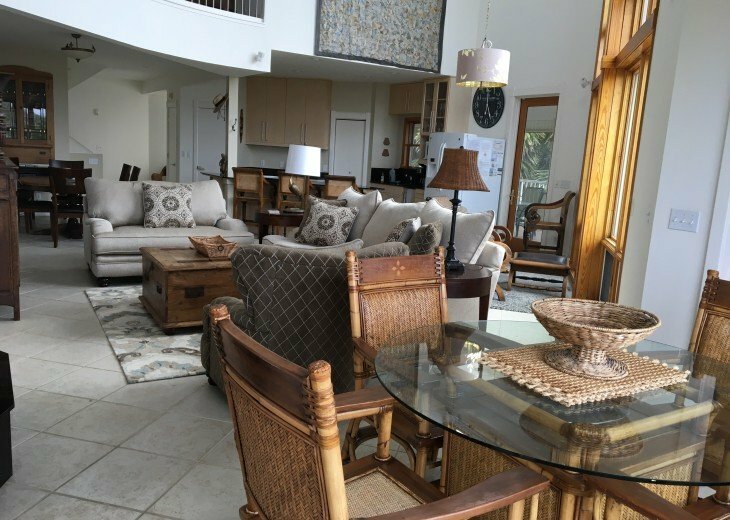 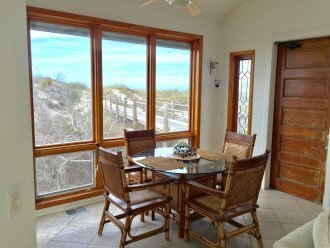 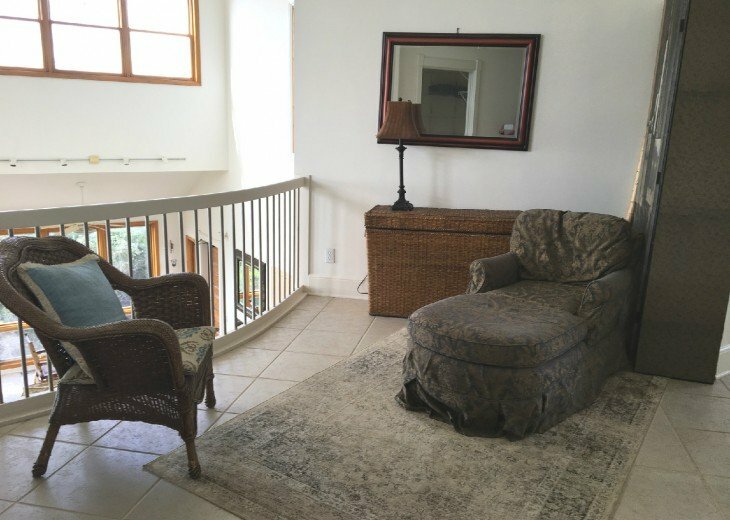 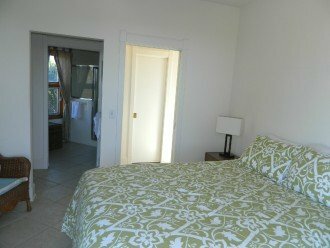 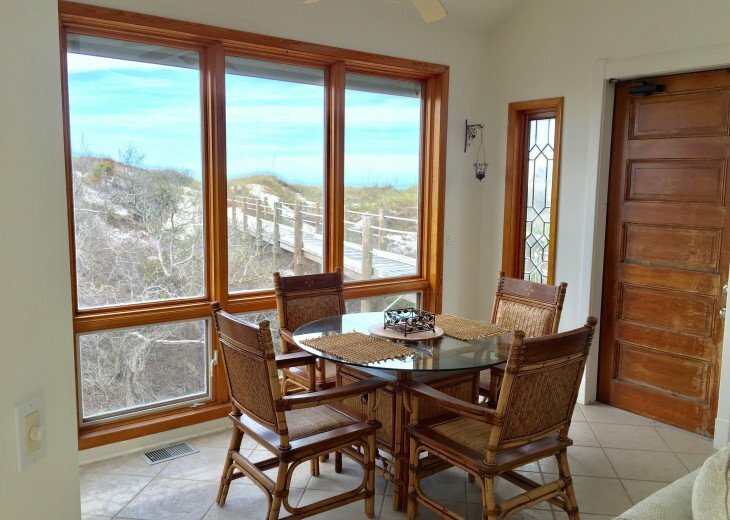 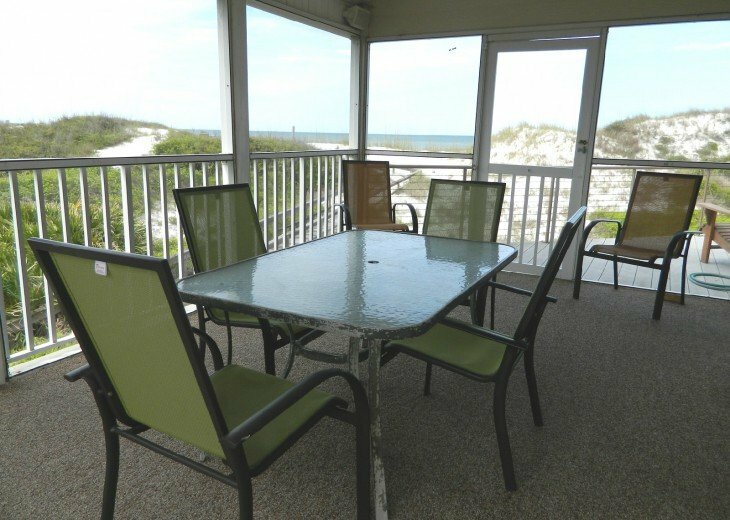 Large Living, Dining and Kitchen floor with great views of the Gulf of Mexico, the Beaches and White Sand Dunes. 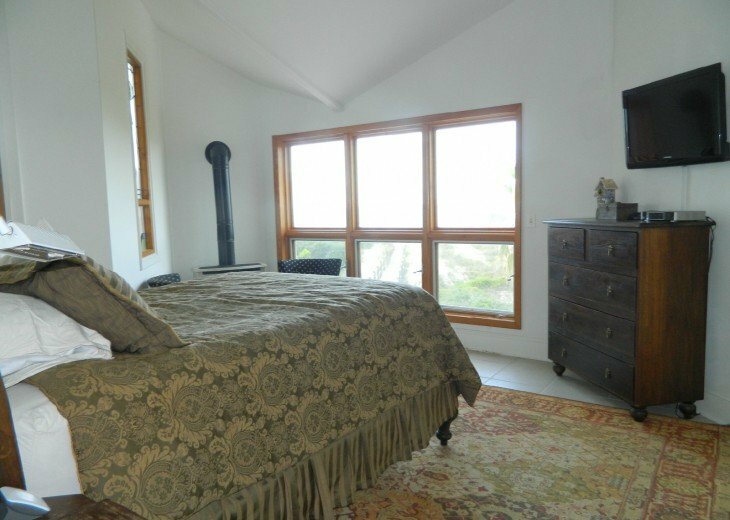 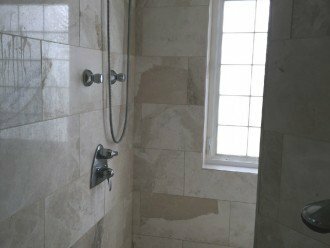 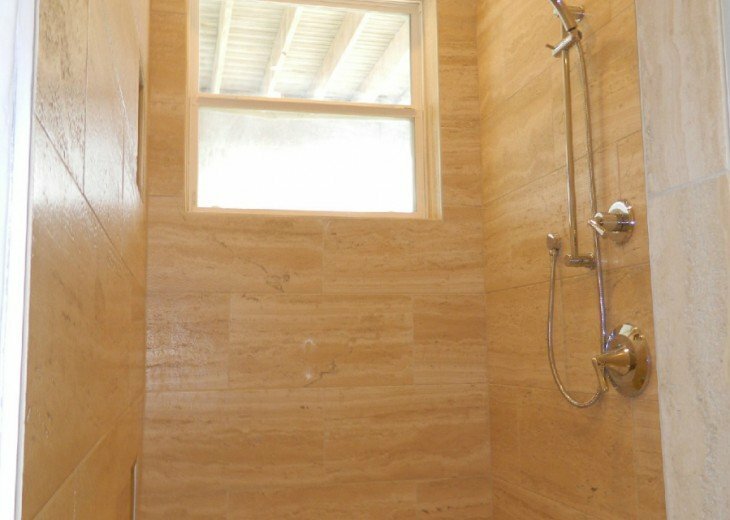 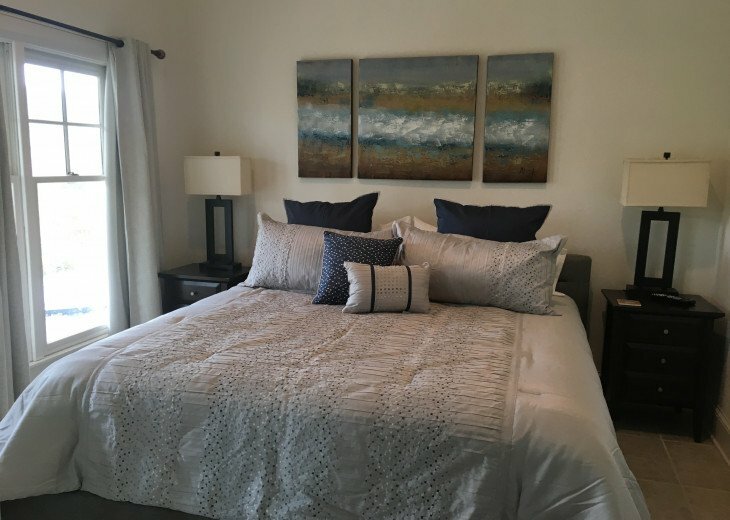 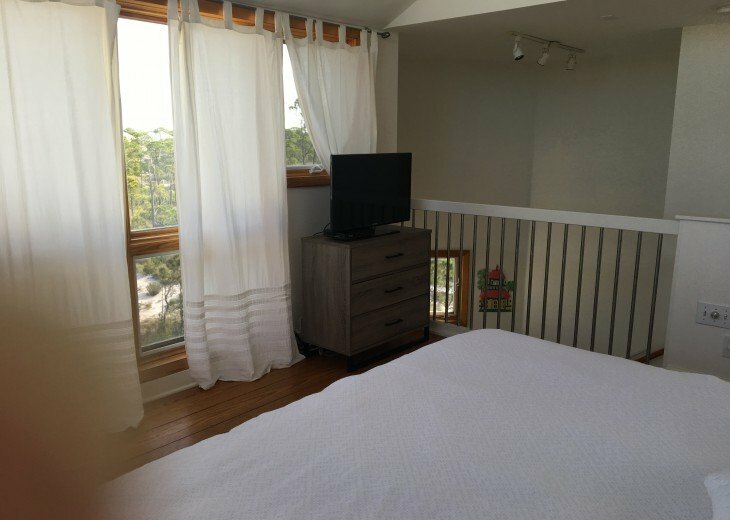 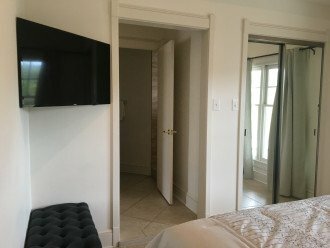 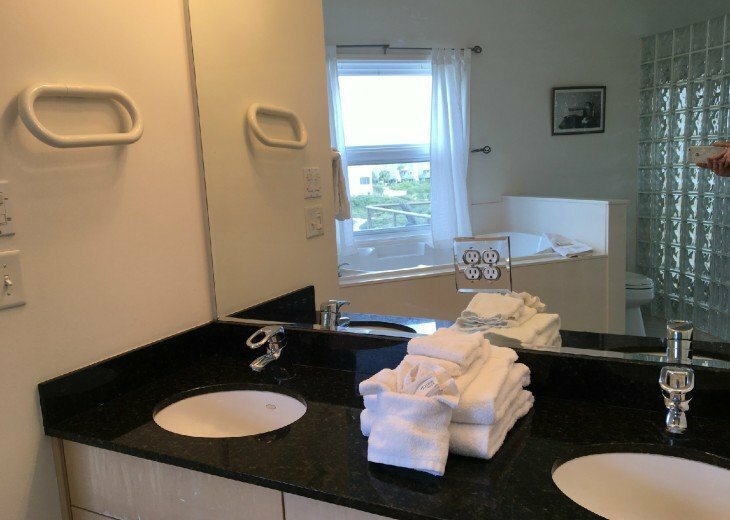 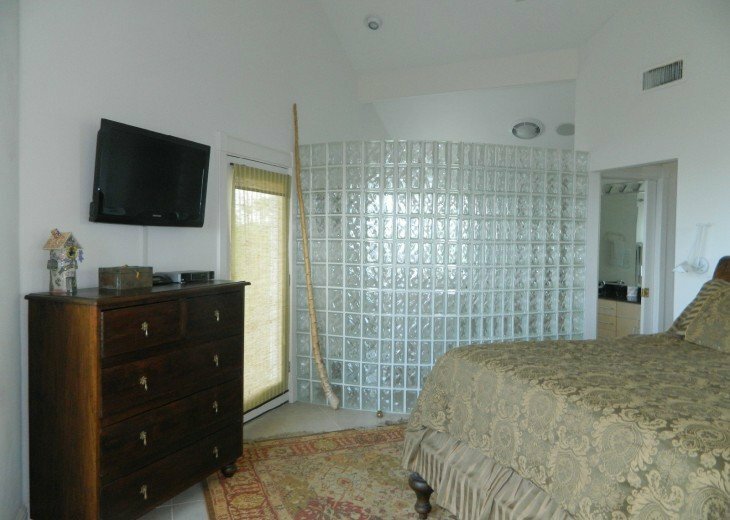 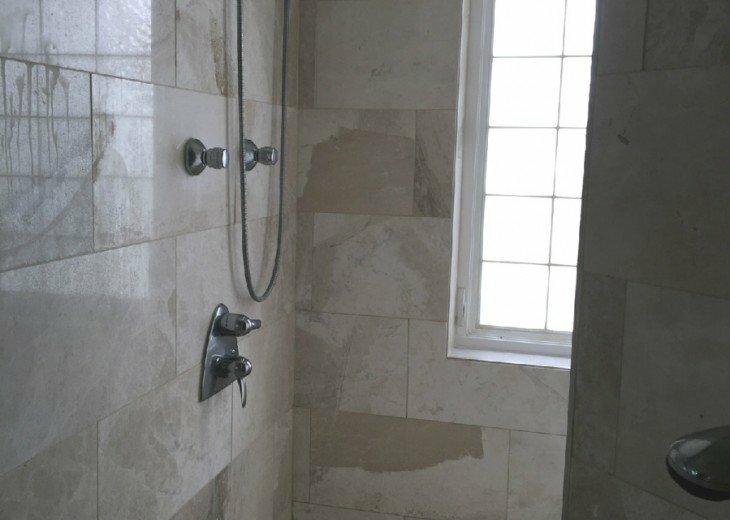 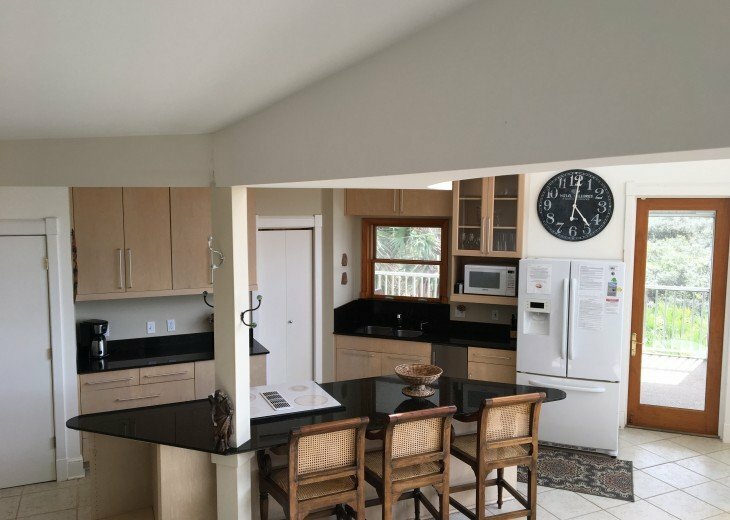 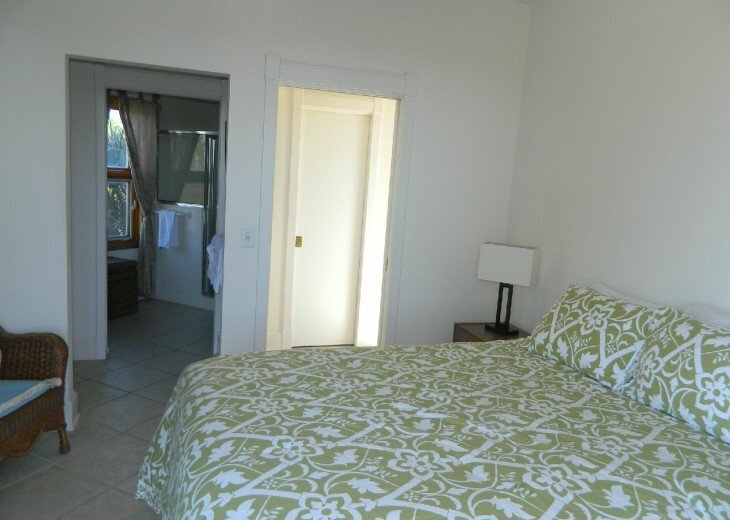 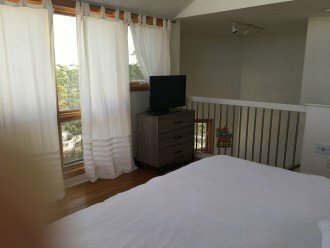 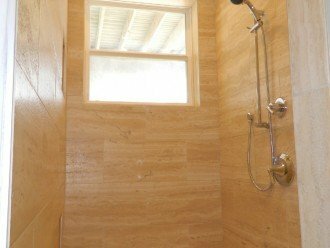 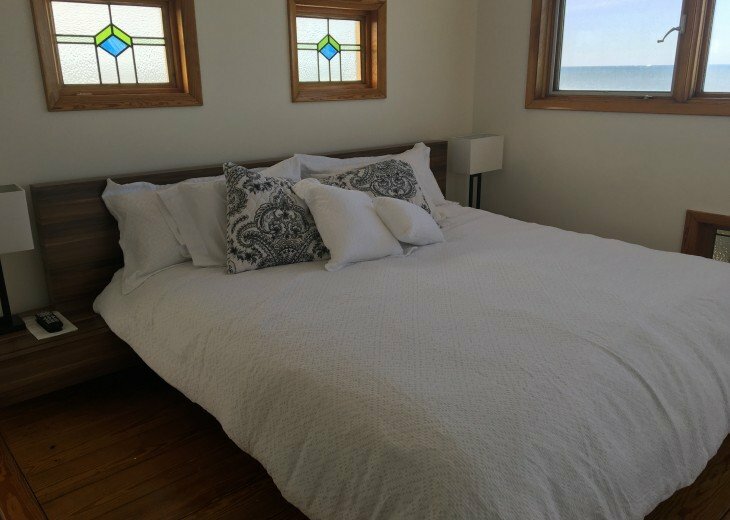 3 bedrooms and a sleeping loft with a king & full bath, 2 Gulf Front Queen bedrooms with full baths, one with a large beautiful custom tiled shower and there is a newly renovated king bedroom with custom tiled shower. 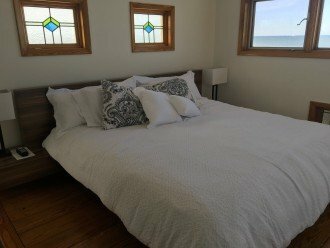 Sleeps 8 in beds. Belle Vista is uniquely designed and furnished with antiques throughout. We are special, Gulf of Mexico on one side and the Pristine St Joseph Bay on the other. 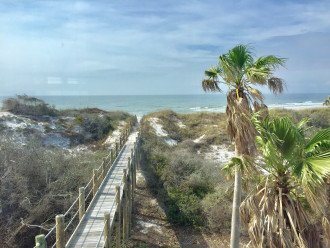 Nature lovers paradise! Watch dolphins play in the surf, fish, scallop seasonally, Eagles & more! Anywhere is good but all should experience the Raw Bar when they come. 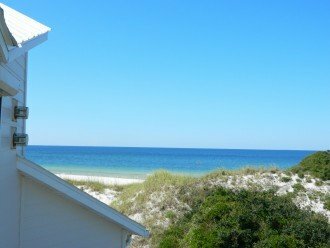 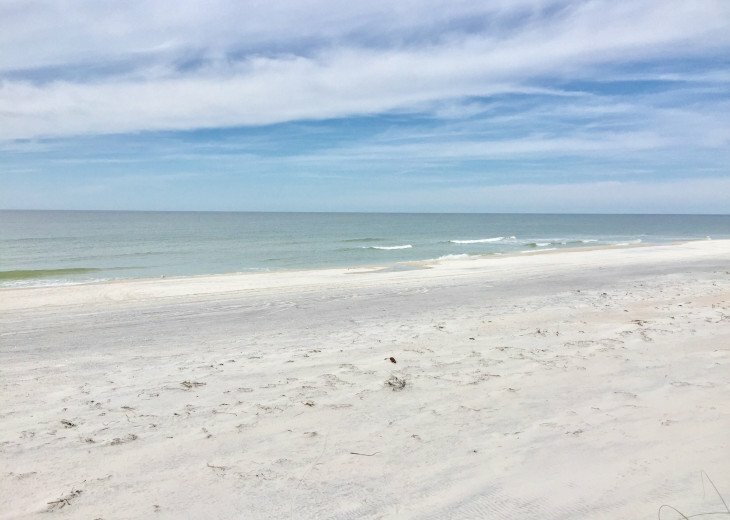 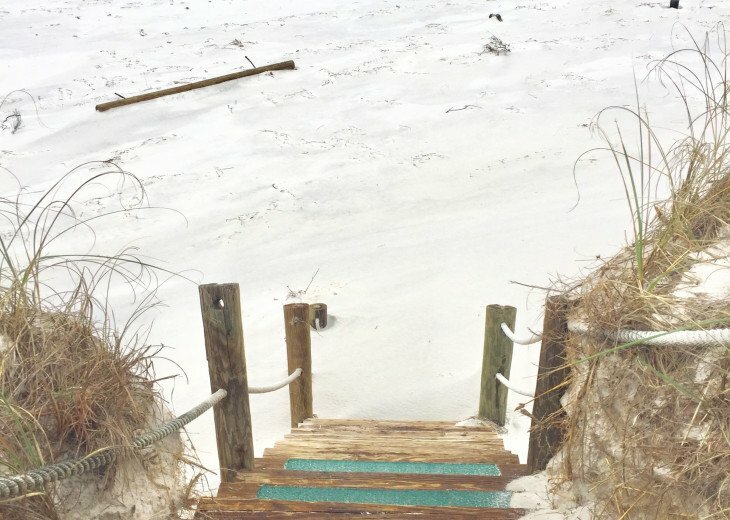 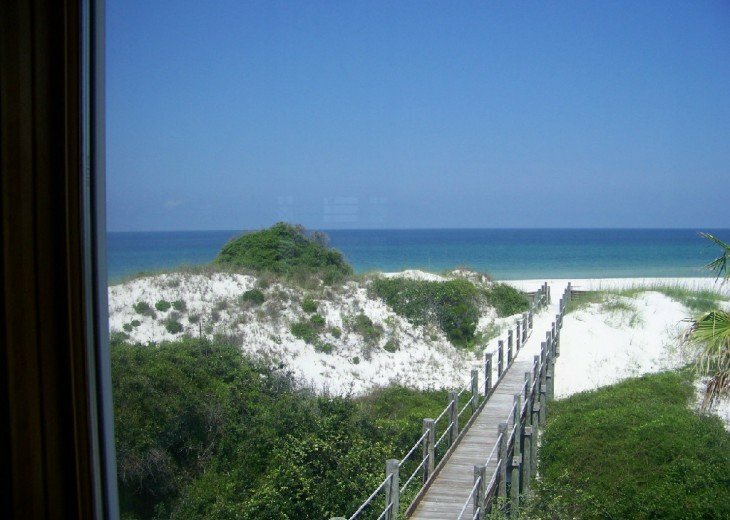 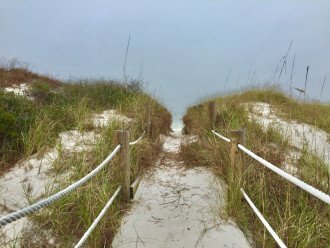 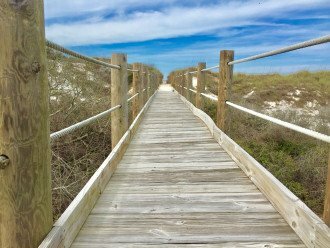 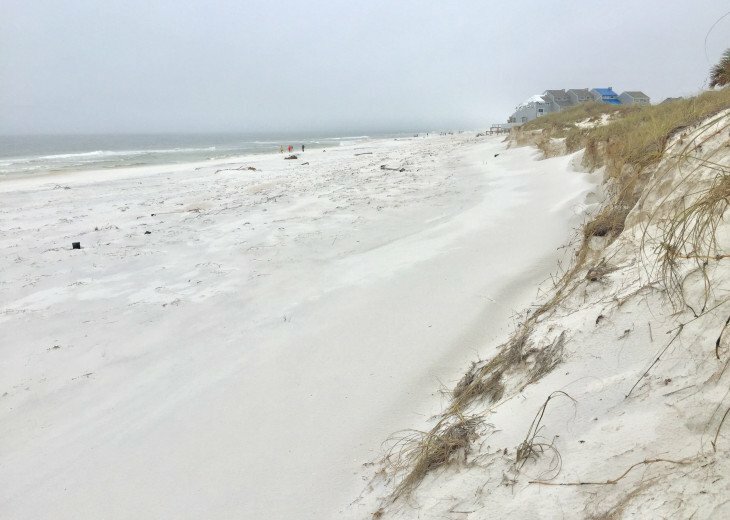 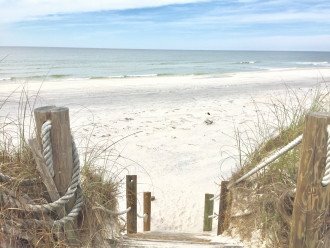 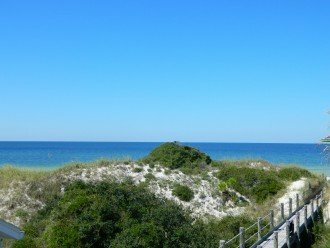 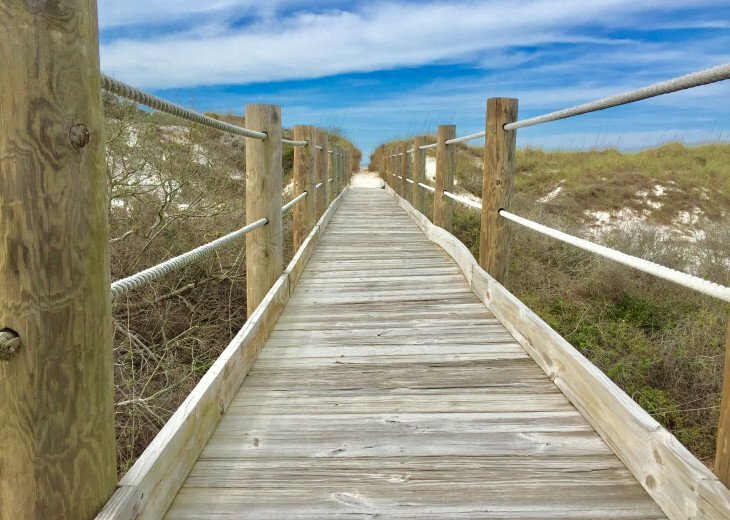 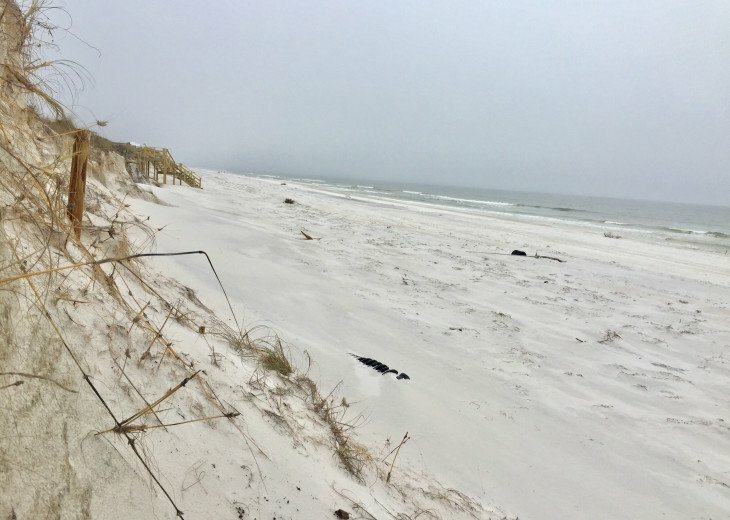 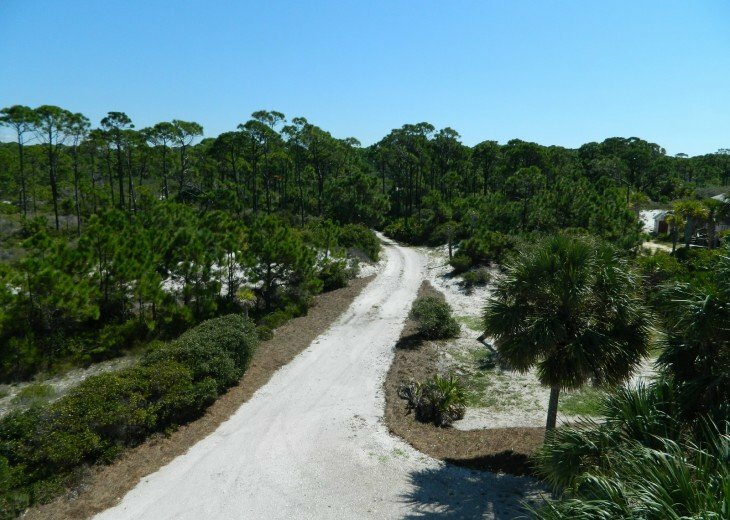 Cape San Blas FL is such a treasure, come see for yourself why. 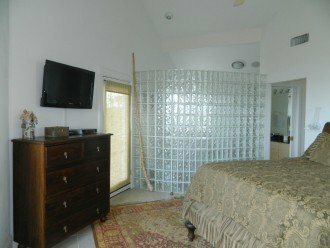 Many find us and never want to leave. 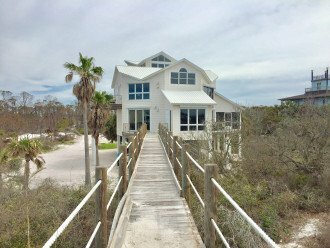 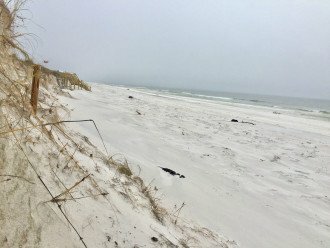 Visiting multiple times a year or buying a beach home for themselves. 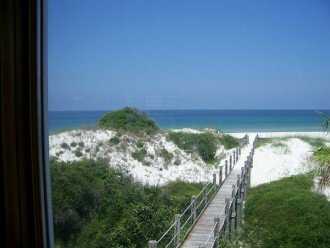 It's not commercialized - No highrises, no chain stores, oh well "no stores" other than 3 or 4 on the Cape otherwise you have to drive 20 minutes to the small town of Port St Joe - It's a great place, I so love it here and I bet you will to! Why this property? Very unique home sitting on a large parcel with privacy which has become very sought after. 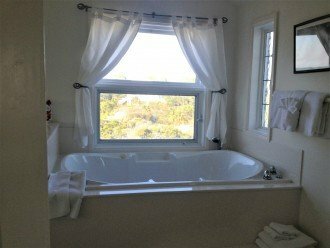 There are very few places with this kind of privacy. 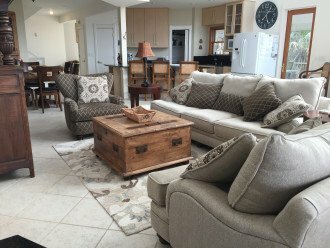 This is a awesome, private rental on the beach. 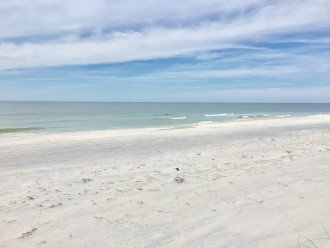 The views are amazing and when you are on the beach frequently no one else will be around you. 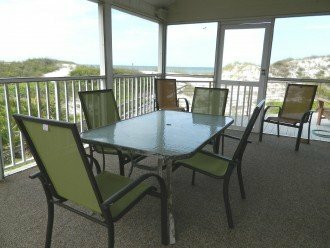 The home has everything you could need for a great vacation. 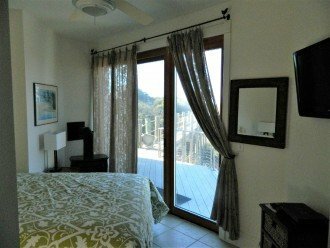 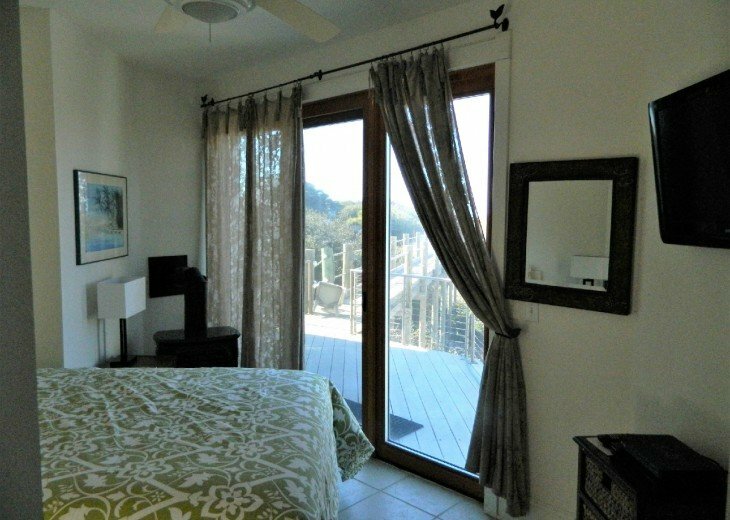 Bella Vista is a beautiful home with breathtaking views from every room. 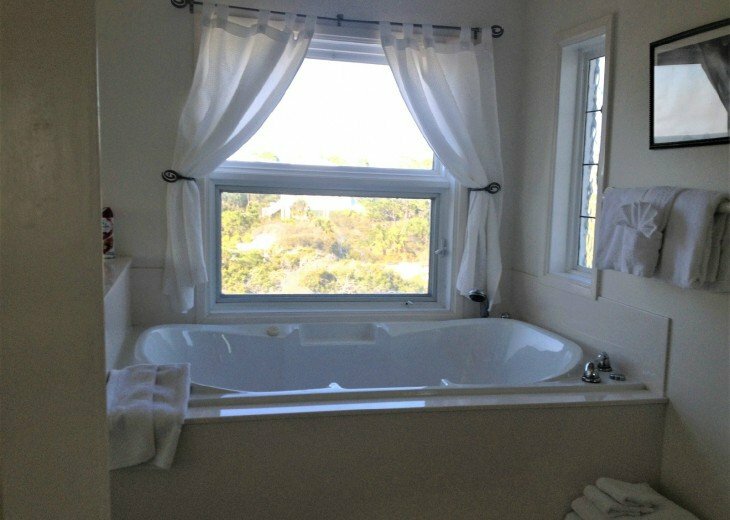 This was our second year staying at Bella and our third year on the Cape. 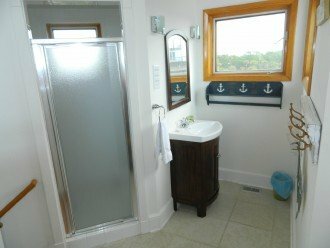 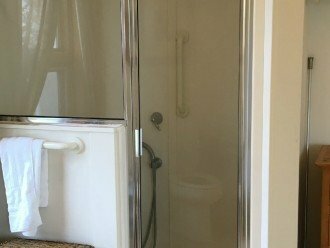 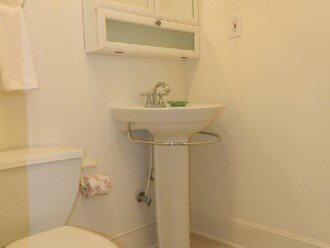 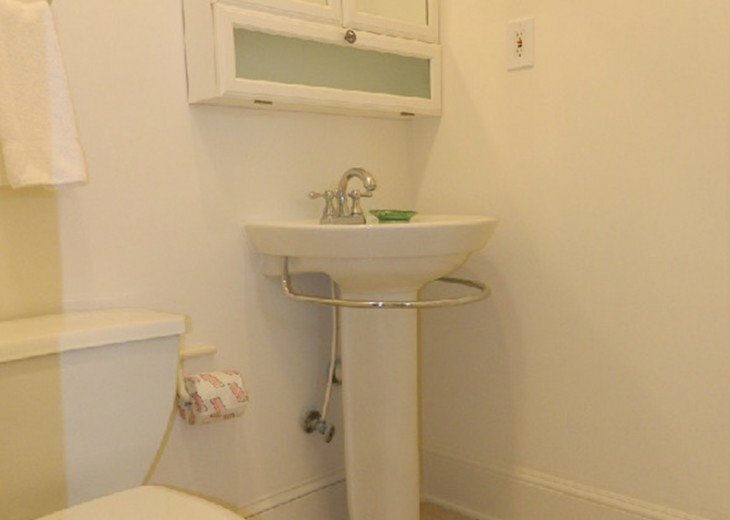 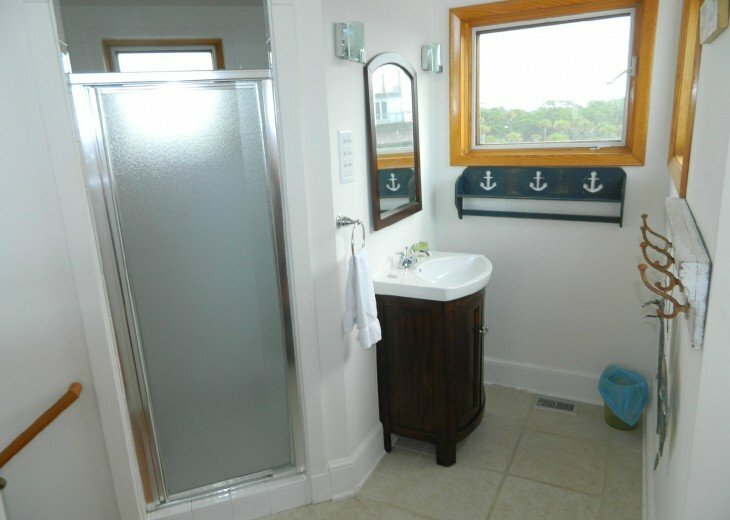 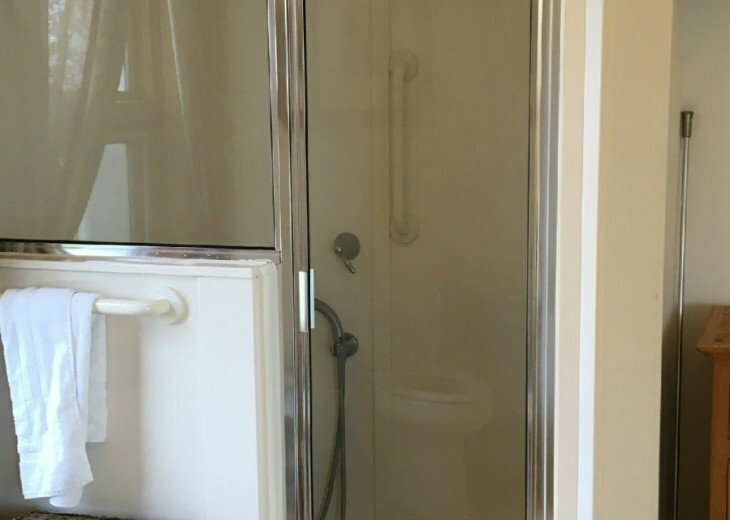 We absolutely love all of the privacy this property affords. 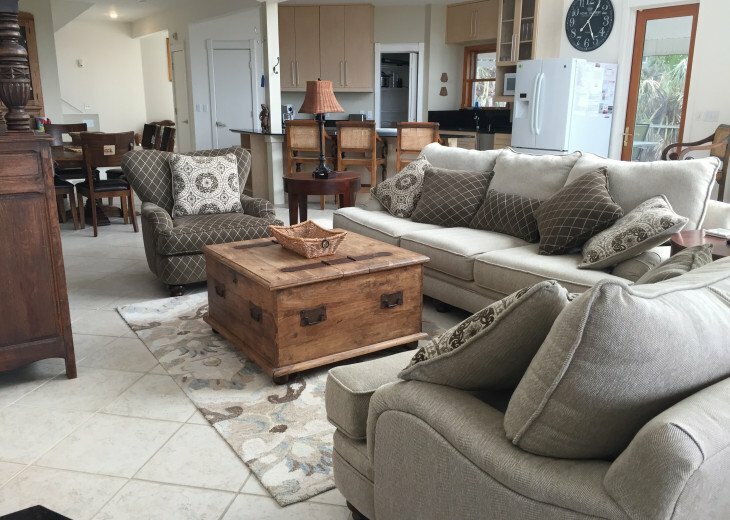 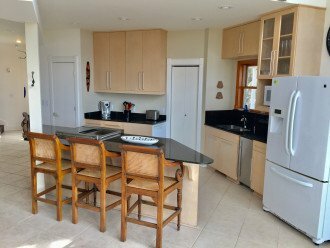 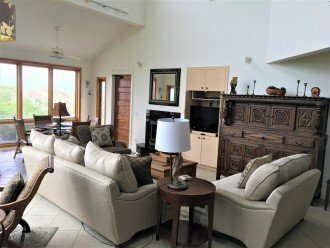 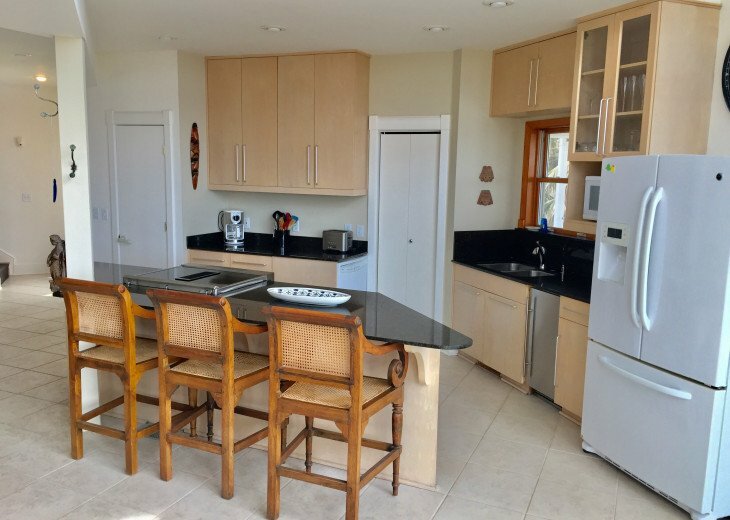 There is room enough to spread out for large families which only adds to the level of relaxation and enjoyment of vacationing at this home. 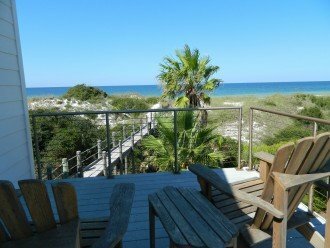 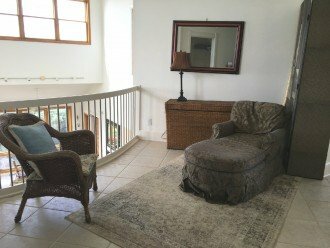 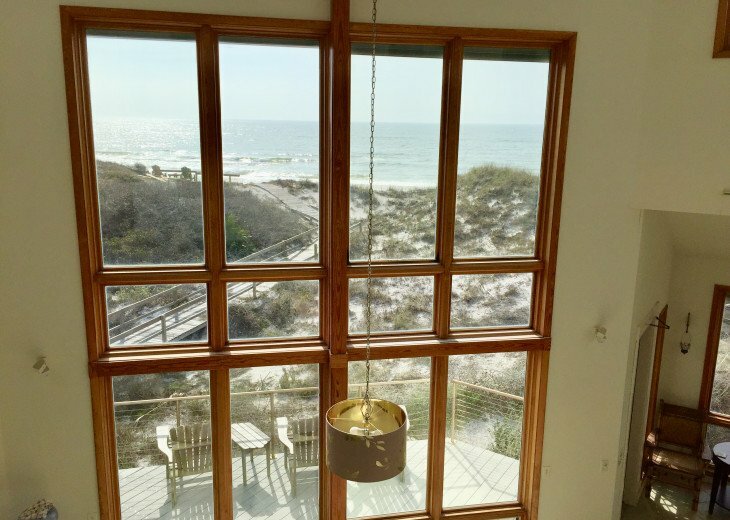 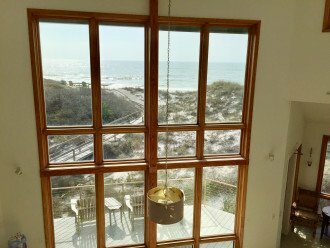 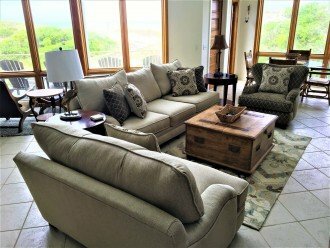 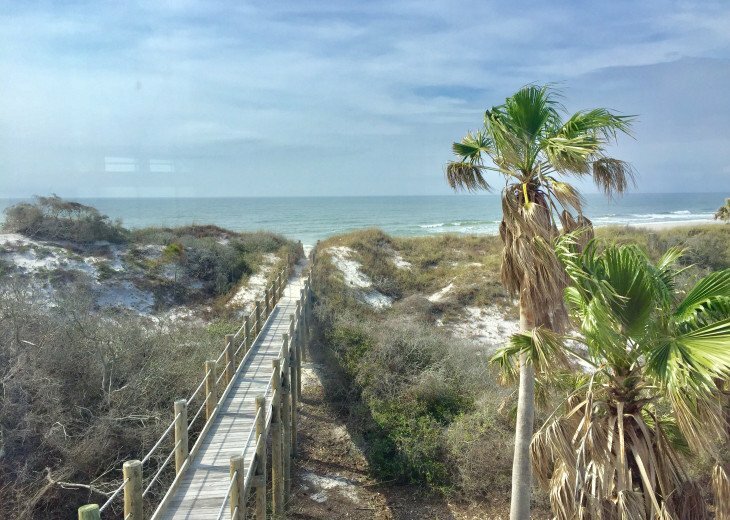 There are so many nooks and porches you can literally find a new favorite spot to sit and relax or take in the indescribable beauty of the property and glistening ocean or the stars at night.It is such a special place. 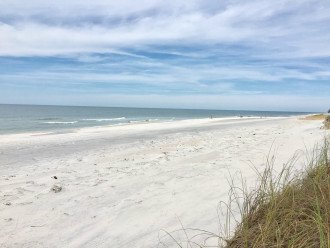 We plan on returning as often as we can.